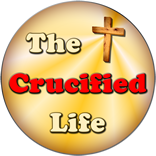 HomeThe Crucified Life Ministries BlogDo Not Miss the Finish Line! Do Not Miss the Finish Line! Hebrews 12:15-17 (KJB) Looking diligently lest any man fail of the grace of God; lest any root of bitterness springing up trouble you, and thereby many be defiled; 16 Lest there be any fornicator, or profane person, as Esau, who for one morsel of meat sold his birthright. 17 For ye know how that afterward, when he would have inherited the blessing, he was rejected: for he found no place of repentance, though he sought it carefully with tears. Esau diligently sought God’s blessing, but it was too little too late. Esau spent time licking his wounds and for hostility to work inside his heart. He allowed his discouraging circumstances to dictate poor choices and actions. This is precisely why we are to keep our focus upon God and glance at the world. Moses and his generation missed lining up to cross the finish line to enter the Promised Land. The Bible does not lead us to believe that Moses was bitter with this pronouncement from God for he understood he had failed God. Sin always has a cost and leads a man to experience unpleasant consequences. There are many other examples how both lost and saved hearts of ancient people missed the spiritual mark and failed in the grace of God. Some failed to be rid of self and to receive His grace while others failed to live in His grace. These kinds of moments are recorded for our learning in God’s Word. We can learn much about God’s mercy, grace, and understand there are consequences to choosing to sin by being familiar with His Word and applying spiritual lessons to our own lives. 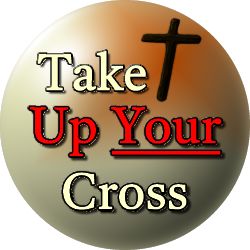 Now, certainly, you understand that missing the mark does not imply that a person missed salvation, but that he or she failed in some degree in their obedience to God. This world is not filled with any perfect people since Jesus Christ was crucified but is filled with people who have either lost or regenerated spiritual hearts. I pray you will not miss the finish line and fail to reach a final perpetual resting place in eternity in sweet fellowship with God. God has a timeline and an expectation upon every life divinely ushered into this world. It is possible to seek after God, find Him, but fail Him often in the grace of God. Other people choose to ignore the presence of God and reject His will for their lives and in keeping this course unto death will fail forever.